It is time for Christians everywhere to take a breath and ask themselves some hard questions. A grand introspection needs to take place within the corporate body of Christ. Do we really know where we are headed? Is our faith based upon something real and powerful? Are we deceived? Where is our unity? What is the true Gospel message? Where is the overcoming church promised in scripture? We need to start out this process of questioning by clarifying a few pertinent facts from God’s word. Since the Apostle's death we have yet to see such a church. Haggai 1:6 Ye have sown much, and bring in little; ye eat, but ye have not enough; ye drink, but ye are not filled with drink; ye clothe you, but there is none warm; and he that earneth wages earneth wages to put it into a bag with holes.7 Thus saith the LORD of hosts; Consider your ways.Haggai 1:8 Go up to the mountain, and bring wood, and build the house; and I will take pleasure in it, and I will be glorified, saith the LORD. In the following study we will see what God has to say about all this. We will follow the Spirit as he leads us through the scripture to show us the true path back to the unity of the faith and the power to overcome. We will be led to the truth of the one pure Gospel message and its eternal impact. We will see the true bride of Christ revealed before our eyes as it is meant to be. We begin toward the truth with a confession: An admission of guilt. We have all contributed to division and division is not acceptable in the body of Christ. 1 Corinthians 1:12 Now this I say, that every one of you saith, I am of Paul; and I of Apollos; and I of Cephas; and I of Christ. 13 Is Christ divided? was Paul crucified for you? or were ye baptized in the name of Paul? Nowhere in Scripture will you find that division in the body of Christ is acceptable. We may be many congregations and individuals but only one Church. 1 Corinthians 12:12 For as the body is one, and hath many members, and all the members of that one body, being many, are one body: so also is Christ. 13 For by one Spirit are we all baptized into one body, whether we be Jews or Gentiles, whether we be bond or free; and have been all made to drink into one Spirit. 14 For the body is not one member, but many. Ephesians 4:4 There is one body, and one Spirit, even as ye are called in one hope of your calling;5 One Lord, one faith, one baptism, 6 One God and Father of all, who is above all, and through all, and in you all. So if this is the scriptural truth why do we put up with schism and wink at it? Why do we call ourselves Baptists, Methodists, Pentecostal, etc.? We must acknowledge that schism is a sin and also that we have contributed to schism and continue to contribute if we are comfortable in it. This is an important first step. God didn’t found denominations men did. These were not the men that God sent. Any minister that God has ever sent had as his base goal the unity of the faith. This means that God did not call anyone to be a Baptist minister or a Pentecostal minister or Methodist minister etc. If God called them at all “He” called them to be ministers unto the “body of Christ”. This makes every denomination’s credentials or ordination papers toilet paper. And notice further these men (apostles, prophets, teachers, etc.) were gifts to the church from heaven for the express purpose of building up the body in the unity of the faith. The very existence of every denomination therefore stands against this goal. 1 Corinthians 2:1 And I, brethren, when I came to you, came not with excellency of speech or of wisdom, declaring unto you the testimony of God.2 For I determined not to know any thing among you, save Jesus Christ, and him crucified.1 Corinthians 2:3 And I was with you in weakness, and in fear, and in much trembling.4 And my speech and my preaching was not with enticing words of man's wisdom, but in demonstration of the Spirit and of power:5 That your faith should not stand in the wisdom of men, but in the power of God. The power of submission to the Spirit. Paul didn't come to the Corinthians as “the great man” but rather as a humble servant. His dependence was not on his ability to speak or argue or his intellect. His message and his preaching were enabled by the power of the Holy Ghost. Only the Spirit of God can make the word living water in another's heart. A minister sent from God speaks only by the Spirit. He speaks by revelation of Christ. He speaks as an oracle of God. He speaks as one sent by God. Galatians 1:11 But I certify you, brethren, that the gospel which was preached of me is not after man.12 For I neither received it of man, neither was I taught it, but by the revelation of Jesus Christ. Romans 10:14 How then shall they call on him in whom they have not believed? and how shall they believe in him of whom they have not heard? and how shall they hear without a preacher?15 And how shall they preach, except they be sent? as it is written, How beautiful are the feet of them that preach the gospel of peace, and bring glad tidings of good things! A denominational preacher is not one sent. He is one trained by men. He is schooled in the seminary or bible school. His credentials are not from God through the Spirit. His doctrine is of men and not of God. He learns a theology which is man trying to figure God out. A true minister speaks by revelation of Christ which is God revealing who he is. God cannot be figured out or carnally discerned. The Word of God has never been a question or carnal mind's interpretation or intellect. 2 Peter 1:20 Knowing this first, that no prophecy of the scripture is of any private interpretation.21 For the prophecy came not in old time by the will of man: but holy men of God spake as they were moved by the Holy Ghost. We as Christians need to return to the propriety of the Spirit. The same way the Bible came into being is the same way it is understood. Revelation! We need the pure revelation that comes only from God. We were given the Holy Spirit for this very purpose. Only God can reveal and his servants only speak by that revelation. 1 Corinthians 2:9 But as it is written, Eye hath not seen, nor ear heard, neither have entered into the heart of man, the things which God hath prepared for them that love him.10 But God hath revealed them unto us by his Spirit: for the Spirit searcheth all things, yea, the deep things of God.11 For what man knoweth the things of a man, save the spirit of man which is in him? even so the things of God knoweth no man, but the Spirit of God.12 Now we have received, not the spirit of the world, but the spirit which is of God; that we might know the things that are freely given to us of God.13 Which things also we speak, not in the words which man's wisdom teacheth, but which the Holy Ghost teacheth; comparing spiritual things with spiritual.14 But the natural man receiveth not the things of the Spirit of God: for they are foolishness unto him: neither can he know them, because they are spiritually discerned. This is always the way it has been .We must hear from God to know the truth and those of us called as ministers must speak the words we are given through the Spirit by the scripture. The doctrines of men and the opinions of men now matter how scholarly are useless. Notice below that Jesus is the one who first taught this principle. Notice also what men thought was wrong. Matthew 16:13 When Jesus came into the coasts of Caesarea Philippi, he asked his disciples, saying, Whom do men say that I the Son of man am?14 And they said, Some say that thou art John the Baptist: some, Elias; and others, Jeremias, or one of the prophets.15 He saith unto them, But whom say ye that I am? 16 And Simon Peter answered and said, Thou art the Christ, the Son of the living God. 17 And Jesus answered and said unto him, Blessed art thou, Simon Barjona: for flesh and blood hath not revealed it unto thee, but my Father which is in heaven. This shows us the truth of the matter. God leads us by revelation of the Holy Ghost through the scriptures. The same way in which the scriptures were inspired is the same way they are revealed. Men must submit themselves to God through Jesus Christ to have access to this revelation. We must return to this submission: To this humility and dependence on a living God. Are denominations of God or men? What is the goal of ministers sent by God? Has the consensus of men ever been right where God is concerned? How did Christianity get off the path? Discuss this with the class. What follows here in the study is revelation of Christ according the true propriety we discussed earlier. It is a revelation of the last days Church’s revealing through the life of Jesus as a man like us. Through comparison of the life of Jesus to the Church we find a startling picture and prophecy for the body of Christ. There were two times in the life of Jesus as a man where he appeared as glorious. The beginning of his life (birth and infancy) and the end of his life (His ministry ,death, and resurrection). In between these two points he was in obscurity. He was here but no one could point him out as Messiah. This is also true with the Church. In its beginning it was glorious. It saw miracles and angels and power. After the death of the Apostles it went into obscurity. No more miracles or unity or purity of teaching. It became lost in a sea schism and false teaching. Like Messiah the true body of Christ is here but who can point it out? From that time to now it has been hidden among us as Jesus was. We find in scripture that the “ Last days Church” will step out of obscurity even as Jesus did. To begin its ministry. At the birth of Jesus Herod sent out soldiers to “slaughter the innocents” in an attempt to destroy messiah. Matthew 2:16 Then Herod, when he saw that he was mocked of the wise men, was exceeding wroth, and sent forth, and slew all the children that were in Bethlehem, and in all the coasts thereof, from two years old and under, according to the time which he had diligently enquired of the wise men.17 Then was fulfilled that which was spoken by Jeremy the prophet, saying,18 In Rama was there a voice heard, lamentation, and weeping, and great mourning, Rachel weeping for her children, and would not be comforted, because they are not. At the birth of the early church a great persecution broke out against the body of Christ with another Herod, the son of the man who tried to destroy Jesus. They tried to destroy the Church as soon as it was began just like they had tried with Jesus. Jesus began his ministry when he was identified by John the Baptist. He stepped out of obscurity through humility. He humbled himself to be identified with transgressors and sinners though he himself had no sin. When he was baptized of John the Holy Spirit came upon him in the form of a dove and God's voice confirmed what John proclaimed. John 1:29 The next day John seeth Jesus coming unto him, and saith, Behold the Lamb of God, which taketh away the sin of the world. 30 This is he of whom I said, After me cometh a man which is preferred before me: for he was before me.31 And I knew him not: but that he should be made manifest to Israel, therefore am I come baptizing with water.32 And John bare record, saying, I saw the Spirit descending from heaven like a dove, and it abode upon him. The Last Days church will step out of obscurity to be identified in the same way. It will be revealed through it's humility as the true body of Christ. It will be God who testifies to it through a latter out pouring of the Holy Spirit just as the dove descened upon Jesus. 7. Now here is where we discern the future of the Church. As Jesus began his ministry he went about doing good. He healed and he taught and did many miracles. In the beginning he drew many crowds and attracted many disciples. The last days Church will do the same. What Jesus did in Israel the Church will do through out the world. 8. Then toward the middle of his ministry the crowds began to wain and many stopped following him. Many turned away. Jesus at the end was virtually alone and the same crowds that followed him now yelled for his death. So it will be with the Church. In the beginning we will draw great crowds as we begin our ministry. Then the crowds will wain when things get rough and the teaching gets hard. Finally we will go through our hour of trial and be betrayed as Jesus was. Many of us will be put to death. John 6:64 But there are some of you that believe not. For Jesus knew from the beginning who they were that believed not, and who should betray him.65 And he said, Therefore said I unto you, that no man can come unto me, except it were given unto him of my Father66 From that time many of his disciples went back, and walked no more with him. Mark 15:13 And they cried out again, Crucify him.14 Then Pilate said unto them, Why, what evil hath he done? And they cried out the more exceedingly, Crucify him. So also that hour comes to the Church. Matthew 24:21 For then shall be great tribulation, such as was not since the beginning of the world to this time, no, nor ever shall be.22 And except those days should be shortened, there should no flesh be saved: but for the elect's sake those days shall be shortened. This is the pattern for the last day's Church. It follows Jesus' life exactly. Jesus life as man is pure prophecy for us “his body”. So as Jesus ended so will we. With a glorious resurrection of the faithful at his coming. Philippians 3:10 That I may know him, and the power of his resurrection, and the fellowship of his sufferings, being made conformable unto his death;11 If by any means I might attain unto the resurrection of the dead. Philippians 3:20 For our conversation is in heaven; from whence also we look for the Saviour, the Lord Jesus Christ:21 Who shall change our vile body, that it may be fashioned like unto his glorious body, according to the working whereby he is able even to subdue all things unto himself. We are his body..and his body was in fact raised. Prophecy! Hope! Promise! And Jesus is the proof that this prophecy is true! Ephesians 1:22 And hath put all things under his feet, and gave him to be the head over all things to the church,23 Which is his body, the fulness of him that filleth all in all. 1. What part of Jesus life as a man is associated with the early Church's beginning? 2. Explain the similarity between the Early Church's persecution and Herod's slaughter of the innocents. 3. Explain the similarity in Jesus' obscurity and the current condition of the Church. 4. Explain the similarity between Jesus' “hour of trial” and the great tribulation. As you can see the beginning of Jesus' life and its end act as book ends. Jesus birth and death can be compared to the two temples of the Babylonian captivity in the Old Testament. They are types and shadows of both the Church and Christ. Let us start with the temple of Solomon. It compares to the early Church. It was a glorious temple and was built as prophesied by the son of David. Solomon was the son of David and did build that first temple. But can you see the truth hidden here? Jesus was also called “the son of David” and he did build God's house, the Church! Hebrews 3: 4 For every house is builded by some man; but he that built all things is God.5 And Moses verily was faithful in all his house, as a servant, for a testimony of those things which were to be spoken after;6 But Christ as a son over his own house; whose house are we, if we hold fast the confidence and the rejoicing of the hope firm unto the end. 1 Corinthians 3:9 For we are labourers together with God: ye are God's husbandry, ye are God's building.10 According to the grace of God which is given unto me, as a wise masterbuilder, I have laid the foundation, and another buildeth thereon. But let every man take heed how he buildeth thereupon11 For other foundation can no man lay than that is laid, which is Jesus Christ. It is easy to see that the first temple is a shadow of the early church which Jesus the son of David did build! But the literal temple of Solomon later was destroyed by Nebuchadnezzar and the Babylonians. This is also figurative of the demise of the early Church. The temple was destroyed and the people were taken into captivity for seventy years as prophesied by Jeremiah. The early Church was taken into captivity to schism and idolatry. A spiritual Babylon. When Babylon fulfilled this prophecy he ( Nebuchadnezzar) came into Jerusalem and brought it and the temple to the ground and took the people captive. He separated them in little groups and dispersed them through out Babylon so that they could not rise to rebel. Ezekiel 6:8 Yet will I leave a remnant, that ye may have some that shall escape the sword among the nations, when ye shall be scattered through the countries.9 And they that escape of you shall remember me among the nations whither they shall be carried captives, because I am broken with their whorish heart, which hath departed from me, and with their eyes, which go a whoring after their idols: and they shall lothe themselves for the evils which they have committed in all their abominations. When Judah was swallowed up by Babylon it became invisible in its captivity. It was there but who could see it? Do you see the parallel? Just as Jesus was here as Messiah but unrevealed in obscurity after the time of his infancy so was Judah in its captivity. The Church has also been taken into a captivity of sorts. It has been become captive to idolatry and schism and the people are separated and scattered all throughout this spiritual Babylon in denominations and schisms so that they cannot rise in unity to rebel against Nebuchadnezzar (Satan). The Church is here. Those who truly have the Holy Spirit are here. But they are hidden in this captivity, this obscurity, until the proper time( just like Daniel and the other Hebrew children). When this figurative 70 years is over (seven is a completion of a work) they will come back to build God's House! And the latter House will be greater than the former! Haggai 2:6 For thus saith the LORD of hosts; Yet once, it is a little while, and I will shake the heavens, and the earth, and the sea, and the dry land;Haggai 2:7 And I will shake all nations, and the desire of all nations shall come: and I will fill this house with glory, saith the LORD of hosts.Haggai 2:8 The silver is mine, and the gold is mine, saith the LORD of hosts.Haggai 2:9 The glory of this latter house shall be greater than of the former, saith the LORD of hosts: and in this place will I give peace, saith the LORD of hosts. Just as the captivity of Judah ended and people began to trickle back to the land and Jerusalem so is it happening with the Church and its captivity. People are leaving denominations in droves. They are looking for reality and substance. They long for a real relationship with a living God. They long for what the early Church had. They long for the glory of the first temple. It is God who has fostered this longing. Daniel had this same experience having been in this captivity himself. He was moved to read the writings of Jeremiah and others and found it was the prophetic time for the captivity to Babylon to end so he thus prayed. See the next section on Daniel's prayer. See this in the next section. Explain the similarity between Solomon and Christ. Explain the similarity of Solomon's temple with the early Church. Do you see a similarity between Satan and Nebuchadnezzar? Do you see a similarity between the Hebrew Children and the Church? 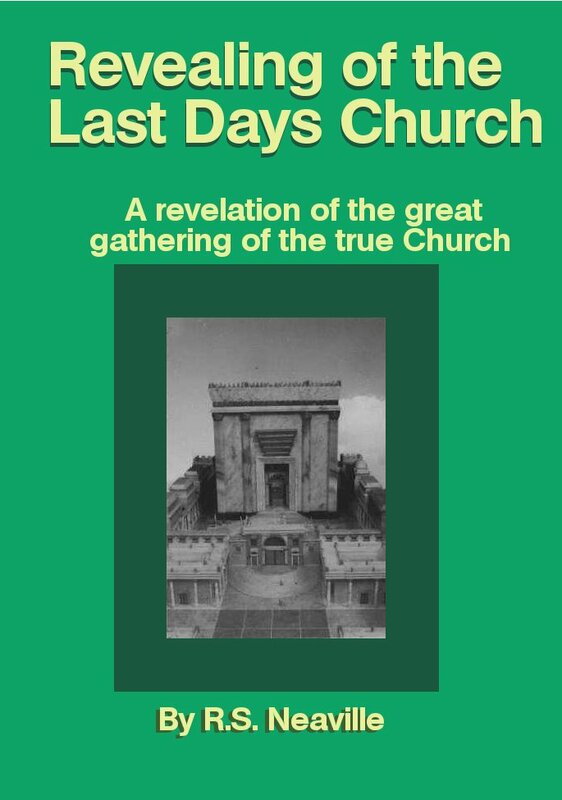 Explain the similarity between the second temple and the Last days Church. We can learn a lot from Daniels prayer in the book of Daniel (chapter 9) because it speaks to the situation of Christianity today. We too have been in a captivity to spiritual Babylon and the time is now for us to come out of her and build God's House...But how? Daniel's prayer gives us clues. Haggai 1:2. Thus speaketh the Lord of hosts, saying, This people say, The time is not come, the time that the Lord's house should be built. Daniel faced the situation of his time when he was very old. He read in books about how he and the others had come to be in captivity to Babylon (Jeremiah). The captivity was for seventy years and this was near the time for it to end. In this you can see Daniel as one of the hebrew children is a figure for the Church that has grown up in captivity. Seven is a time set aside as a complete work, and this work of God was about to be concluded. In this we have our first clue. We need as Christians (God's people) to realize where we are and why . I believe the Holy Spirit is showing us that very thing. we have been in captivity for our own 70 years . Not literal years, but a time set aside by God for him to purify us. We too can see as Daniel did that we are near the completion of that time. The spirit revealed it to Daniel in the scriptures, and so to us. Daniel 9:2. In the first year of his reign I Daniel understood by books the number of the years, whereof the word of the Lord came to Jeremiah the prophet, that he would accomplish seventy years in the desolations of Jerusalem. So when we as a body start to see this truth..what then? We do what Daniel did from the heart. 6. Neither have we hearkened unto thy servants the prophets, which spake in thy name to our kings, our princes, and our fathers, and to all the people of the land. 7. O Lord, righteousness belongeth unto thee, but unto us confusion of faces, as at this day; to the men of Judah, and to the inhabitants of Jerusalem, and unto all Israel, that are near, and that are far off, through all the countries whither thou hast driven them, because of their trespass that they have trespassed against thee. 8. O Lord, to us belongeth confusion of face, to our kings, to our princes, and to our fathers, because we have sinned against thee. 10. Neither have we obeyed the voice of the Lord our God, to walk in his laws, which he set before us by his servants the prophets. 11. Yea, all Israel have transgressed thy law, even by departing, that they might not obey thy voice; therefore the curse is poured upon us, and the oath that is written in the law of Moses the servant of God, because we have sinned against him. 12. And he hath confirmed his words, which he spake against us, and against our judges that judged us, by bringing upon us a great evil: for under the whole heaven hath not been done as hath been done upon Jerusalem. 13. As it is written in the law of Moses, all this evil is come upon us: yet made we not our prayer before the Lord our God, that we might turn from our iniquities, and understand thy truth. 14. Therefore hath the Lord watched upon the evil, and brought it upon us: for the Lord our God is righteous in all his works which he doeth: for we obeyed not his voice. 15. And now, O Lord our God, that hast brought thy people forth out of the land of Egypt with a mighty hand, and hast gotten thee renown, as at this day; we have sinned, we have done wickedly. 16. O Lord, according to all thy righteousness, I beseech thee, let thine anger and thy fury be turned away from thy city Jerusalem, thy holy mountain: because for our sins, and for the iniquities of our fathers, Jerusalem and thy people are become a reproach to all that are about us. 17. Now therefore, O our God, hear the prayer of thy servant, and his supplications, and cause thy face to shine upon thy sanctuary that is desolate, for the Lord's sake. 18. O my God, incline thine ear, and hear; open thine eyes, and behold our desolations, and the city which is called by thy name: for we do not present our supplications before thee for our righteousnesses, but for thy great mercies. 19. O Lord, hear; O Lord, forgive; O Lord, hearken and do; defer not, for thine own sake, O my God: for thy city and thy people are called by thy name. 2 Then he owned up to the sin of him and his people. Daniel was a dedicated man of God, and we do not see him as one of the bible's great sinners, but he realized the knowledge and the gifts he was given were not so he could have a blessed life alone. He did what all men of God are called to do; He laid down his life for the body and stood in the gap, numbering himself among the sinners. Even as we see Jesus did by becoming a man and suffering as we do. Jesus came to be a sacrifice for sinners and was numbered among us. Even as Moses chose to suffer with the people of God and not live as a prince of Egypt. 3.Daniel confessed for the people and acknowledged all the ways they had departed from him and his precepts. 4.Daniel brought out the truth that God had delivered the people with a mighty hand from Egypt, acknowledging to God he was our savior and that we cannot save ourselves. We too as Christians were brought up out of Egypt ( the world) through that passover (the Lamb of God , Jesus) and as Daniel confessed it , we all had done wickedly even after that. We must go back to that first love..we must remember our savior! 5 Daniel reminded God that we are saved not be cause of our selves, but for his names sake, his righteousness sake, He pleaded that God not leave his people in captivity for his glory's sake, for we are the people of his name and created to glorify him. This is a zealousness for God's reputation that the Church to day lacks as demonstrated in the scandal and reproach we have brought to the name of Christ in the world's eyes. Daniel did not remind God of this just to manipulate God to act..but rather he was sincerely concerned with God's glory from the heart..as we need to be. We should all realize this as those whom God has bought with a precious price...Jesus. The above five points are clearly demonstrated in Daniel chapter nine. It was then , after Daniel set his heart in humility toward God that there was an immediate answer. Gabriel was sent swiftly with an answer, and told Daniel when he first started to pray an answer was given. Do you want the answer for our generation? Can you do from the heart what Daniel and so many others have done? Can you fall on your face and seek God for the people? Can we as Christians finally do this...together? look around...this is the time. Come out of her my people! Can you see the similarity between the Hebrew children and the Church? Is Daniel's prayer reflective of what the Church should pray? Does coming out of Babylon reflect the Church coming back to unity of the faith? Discuss this with the class. Is there a connection with Daniel be aged and the age of the Church in captivity? Discuss the five points of Daniel's prayer with the class. This brings us back to the book ends of these two temples. The temple of Solomon figurative of the early Church and the second temple of the last days Church. It is now time to build the the last days Church. When the people had come out of Babylon Haggai ask them the question we must ask ourselves now. Haggai 1:2 Thus speaketh the LORD of hosts, saying, This people say, The time is not come, the time that the LORD's house should be built.3 Then came the word of the LORD by Haggai the prophet, saying,4 Is it time for you, O ye, to dwell in your cieled houses, and this house lie waste? The people say this same thing now. They say it is not time for the unity of the faith to be restored. People are leaving organized Christianity in multitudes and still the leadership will not address the root issues. Is it right for us to remain in schism and division? Is it right for us to continue in our own ideas and visions and traditions while the the true church is obscured in this chaos? We have been counseled to go to God together and humble ourselves as one. Yes it is time! Haggai 1:5 Now therefore thus saith the LORD of hosts; Consider your ways. :6 Ye have sown much, and bring in little; ye eat, but ye have not enough; ye drink, but ye are not filled with drink; ye clothe you, but there is none warm; and he that earneth wages earneth wages to put it into a bag with holes.7 Thus saith the LORD of hosts; Consider your ways.Haggai 1:8 Go up to the mountain, and bring wood, and build the house; and I will take pleasure in it, and I will be glorified, saith the LORD.9 Ye looked for much, and, lo it came to little; and when ye brought it home, I did blow upon it. Why? saith the LORD of hosts. Because of mine house that is waste, and ye run every man unto his own house.10 Therefore the heaven over you is stayed from dew, and the earth is stayed from her fruit.11 And I called for a drought upon the land, and upon the mountains, and upon the corn, and upon the new wine, and upon the oil, and upon that which the ground bringeth forth, and upon men, and upon cattle, and upon all the labour of the hands. Do you see a similarity between the two temples and the early and last days Church? Is it the same similarity between beginning and end of Jesus' life as a man? Is it time to build God's house? Discuss this with the class. Do you see a similarity between “paneled houses” and denominations? Has the church had “blessings” with held because of this schism? The people of God are now experiencing the same thing as the people of Haggai's time. We have sown the Gospel but bring in few disciples. We eat of the word but have little true understanding and revelation. We put on filthy rags of human achievement and effort instead of the true clothing of Christ's righteousness. We are storing not in Heaven but in the carnal where it is used up. Carnal effort, carnal teaching, and carnal results with no spiritual power or hope. We are now being counseled by God himself to consider our ways. We are told to go to the mountains ( the heavenlies, prayerfully) And build His house. A house that God may take pleasure in (the unity of the faith). It is time to build God's house and no longer our own. We must go to God's holy mountain together and humble ourselves. See how this parallels Daniel's prayer? When we do this as one no longer will Heaven withhold its dew (outpouring of the Spirit)or the earth its fruit. ( the great harvest of souls). We must no longer be concerned with our own houses (Baptist, Methodist,Pentecostal, etc.) But with Gods House! His temple! The Body of Christ! The Lord gave me these scriptures to confirm his word. Luke 6:12 ¶ And it came to pass in those days, that he went out into a mountain to pray, and continued all night in prayer to God.13 And when it was day, he called unto him his disciples: and of them he chose twelve, whom also he named apostles;14 Simon, (whom he also named Peter,) and Andrew his brother, James and John, Philip and Bartholomew,15 Matthew and Thomas, James the son of Alphaeus, and Simon called Zelotes,16 And Judas the brother of James, and Judas Iscariot, which also was the traitor. Haggai 1:2Thus speaketh the LORD of hosts, saying, This people say, The time is not come, the time that the LORD’S house should be built.3 Then came the word of the LORD by Haggai the prophet, saying,4 Is it time for you, O ye, to dwell in your cieled houses, and this house lie waste?5Now therefore thus saith the LORD of hosts; Consider your ways.6 Ye have sown much, and bring in little; ye eat, but ye have not enough; ye drink, but ye are not filled with drink; ye clothe you, but there is none warm; and he that earneth wages earneth wages to put it into a bag with holes.7 Thus saith the LORD of hosts; Consider your ways.8 Go up to the mountain, and bring wood, and build the house; and I will take pleasure in it, and I will be glorified, saith the LORD. It is God’s house, this latter day house that the servants of God are appointed to build. We must go together into his mountain ( his throne) and consider our ways . we must seek him together for his way. Those appointed are the timber God will give us to build with. Luke 10:1 ¶After these things the Lord appointed other seventy also, and sent them two and two before his face into every city and place, whither he himself would come.2 Therefore said he unto them, The harvest truly is great, but the labourers are few: pray ye therefore the Lord of the harvest, that he would send forth labourers into his harvest. The true servants are appointed by God, and the fields of this world are ripe for harvest and revival . It is God who will appoint the laborers if we will but enter into his presence together with humility. When the second temple was being prepared a solemn assembly was called, a Holy convocation where all gathered together in humility to hear the word of the Lord and to see whom God had appointed as leaders. Ezra 3:1 And when the seventh month was come, and the children of Israel were in the cities, the people gathered themselves together as one man to Jerusalem.2 Then stood up Jeshua the son of Jozadak, and his brethren the priests, and Zerubbabel the son of Shealtiel, and his brethren, and builded the altar of the God of Israel, to offer burnt offerings thereon, as it is written in the law of Moses the man of God.3 And they set the altar upon his bases; for fear was upon them because of the people of those countries: and they offered burnt offerings thereon unto the LORD, even burnt offerings morning and evening.4 They kept also the feast of tabernacles, as it is written, and offered the daily burnt offerings by number, according to the custom, as the duty of every day required;5 And afterward offered the continual burnt offering, both of the new moons, and of all the set feasts of the LORD that were consecrated, and of every one that willingly offered a freewill offering unto the LORD.6 From the first day of the seventh month began they to offer burnt offerings unto the LORD. But the foundation of the temple of the LORD was not yet laid.7 They gave money also unto the masons, and to the carpenters; and meat, and drink, and oil, unto them of Zidon, and to them of Tyre, to bring cedar trees from Lebanon to the sea of Joppa, according to the grant that they had of Cyrus king of Persia.8 Now in the second year of their coming unto the house of God at Jerusalem, in the second month, began Zerubbabel the son of Shealtiel, and Jeshua the son of Jozadak, and the remnant of their brethren the priests and the Levites, and all they that were come out of the captivity unto Jerusalem; and appointed the Levites, from twenty years old and upward, to set forward the work of the house of the LORD.9 Then stood Jeshua with his sons and his brethren, Kadmiel and his sons, the sons of Judah, together, to set forward the workmen in the house of God: the sons of Henadad, with their sons and their brethren the Levites. 10 And when the builders laid the foundation of the temple of the LORD, they set the priests in their apparel with trumpets, and the Levites the sons of Asaph with cymbals, to praise the LORD, after the ordinance of David king of Israel.11 And they sang together by course in praising and giving thanks unto the LORD; because he is good, for his mercy endureth for ever toward Israel. And all the people shouted with a great shout, when they praised the LORD, because the foundation of the house of the LORD was laid.12 But many of the priests and Levites and chief of the fathers, who were ancient men, that had seen the first house, when the foundation of this house was laid before their eyes, wept with a loud voice; and many shouted aloud for joy:13 So that the people could not discern the noise of the shout of joy from the noise of the weeping of the people: for the people shouted with a loud shout, and the noise was heard afar off. This will be the case with the Last days Church, this latter day temple of the Lord. Our gathering will be one of heart first and foremost. Where ever physically we are in this world we will begin to humble ourselves prayerfully and seek his face. This spiritual gathering will lead to physical manifestations of itself. First we will gather house to house as the early Church did and then larger gatherings. The Lord has shown me that this will take place all over the world. In America there will be a great gathering of hundreds of thousands in one place. A gathering where we will come together to seek God in his Holy hill and make him first among us through the sacrifice of Christ.. We will acknowledge all those things from Daniels prayer and then the Lord will appoint his leadership from among us. It will truly be a Holy convocation. Then the world will see a true remnant of the body of Christ that cannot be easily dismissed and God himself will testify to it even as he did Jesus at his revealing. There will be signs and wonders! Like Jesus we as one body will go up to the mountain and pray as one and then God will appoint his Apostles and prophets and teachers from among his disciples who have gathered! You can see this pattern in Luke. We will go together to pray all night and humble ourselves and it will be God who reveals his ministers. This will happen not only in America but in all the world. Then the world will see the True Church! This is what reveals it! The many will believe that God sent Jesus and then the last great Harvest begins! John 17:21 That they all may be one; as thou, Father, art in me, and I in thee, that they also may be one in us: that the world may believe that thou hast sent me.22 And the glory which thou gavest me I have given them; that they may be one, even as we are one:23 I in them, and thou in me, that they may be made perfect in one; and that the world may know that thou hast sent me, and hast loved them, as thou hast loved me. There must be one house standing straight while all others a leaning so that the world can see the true bride of Christ. It will be revealed through its humility. As Daniel acknowledged his and the peoples sin so shall we. As Daniel humbled himself so shall we as one. Daniel's prayer of humility was answered speedily and so will ours. Daniel 9:21 Yea, whiles I was speaking in prayer, even the man Gabriel, whom I had seen in the vision at the beginning, being caused to fly swiftly, touched me about the time of the evening oblation.22 And he informed me, and talked with me, and said, O Daniel, I am now come forth to give thee skill and understanding.23 At the beginning of thy supplications the commandment came forth, and I am come to shew thee; for thou art greatly beloved: therefore understand the matter, and consider the vision. The world will see a Church clothed with humility and empowered by God. It will be revealed from its obscurity even as Jesus was revealed from his. Matthew 3:13 Then cometh Jesus from Galilee to Jordan unto John, to be baptized of him.14 But John forbad him, saying, I have need to be baptized of thee, and comest thou to me?15 And Jesus answering said unto him, Suffer it to be so now: for thus it becometh us to fulfil all righteousness. Then he suffered him.16 And Jesus, when he was baptized, went up straightway out of the water: and, lo, the heavens were opened unto him, and he saw the Spirit of God descending like a dove, and lighting upon him:17 And lo a voice from heaven, saying, This is my beloved Son, in whom I am well pleased. It will be God by his Spirit who testifies we are his children when we come to show our selves in submission to his will as one. There will be a great out powering of the Spirit in that time Just as the Spirit came upon Jesus. 1.Do you see a comparison to Haggai's prophecy and today? 2.Will the world see a unified Church before the return of Jesus Christ? 3.Do you believe the the two prophecies here are true? Discuss with the class. 4.Will we see Apostles again? Miracles? 5.Is it time to see a unity of the faith? We are seeing the beginnings of this now. Many have come out of Babylon looking for the truth. Many are beginning to see the propriety of the unity of the faith and the purity of the Gospel message. Many are realizing that it is time to build God's House. It is Jesus who has declared this. He has released to us the vessels ( Apostles,prophets, teachers, etc.) of God's house to be reinstalled. All the articles of worship(ministry gifts and gifts of the Spirit) are come back the the temple of God. Ezra 1:1 Now in the first year of Cyrus king of Persia, that the word of the LORD by the mouth of Jeremiah might be fulfilled, the LORD stirred up the spirit of Cyrus king of Persia, that he made a proclamation throughout all his kingdom, and put it also in writing, saying,2 Thus saith Cyrus king of Persia, The LORD God of heaven hath given me all the kingdoms of the earth; and he hath charged me to build him an house at Jerusalem, which is in Judah.3 Who is there among you of all his people? his God be with him, and let him go up to Jerusalem, which is in Judah, and build the house of the LORD God of Israel, (he is the God,) which is in Jerusalem.4 And whosoever remaineth in any place where he sojourneth, let the men of his place help him with silver, and with gold, and with goods, and with beasts, beside the freewill offering for the house of God that is in Jerusalem.5 Then rose up the chief of the fathers of Judah and Benjamin, and the priests, and the Levites, with all them whose spirit God had raised, to go up to build the house of the LORD which is in Jerusalem.6 And all they that were about them strengthened their hands with vessels of silver, with gold, with goods, and with beasts, and with precious things, beside all that was willingly offered.7 Also Cyrus the king brought forth the vessels of the house of the LORD, which Nebuchadnezzar had brought forth out of Jerusalem, and had put them in the house of his gods;8 Even those did Cyrus king of Persia bring forth by the hand of Mithredath the treasurer, and numbered them unto Sheshbazzar, the prince of Judah. The connection is easy to see. The things we lacked in our obscurity/captivity are being returned to us for one purpose: To build God's house. The gifts of the Spirit to the individual are as the gifts to the Church. All are to build up God's house. 1 Corinthians 14:1 Follow after charity, and desire spiritual gifts, but rather that ye may prophesy.2 For he that speaketh in an unknown tongue speaketh not unto men, but unto God: for no man understandeth him; howbeit in the spirit he speaketh mysteries.3 But he that prophesieth speaketh unto men to edification, and exhortation, and comfort.4 He that speaketh in an unknown tongue edifieth himself; but he that prophesieth edifieth the church. We are given these gifts that we may build this house by the supernatural power of a living God. The goal is one house! One Gospel! The unity of the faith and a pure Gospel message. It is time to return to this truth. 1 Corinthians 12:12 For as the body is one, and hath many members, and all the members of that one body, being many, are one body: so also is Christ.13 For by one Spirit are we all baptized into one body, whether we be Jews or Gentiles, whether we be bond or free; and have been all made to drink into one Spirit. It is time to be one again. And the Glory of the latter house will be greater than that of the former. Can you hear this truth? What do the Temple articles of gold and silver represent? Can you see the truth that the unity of the faith must be restored? Can you see the truth that there must be one pure Gospel message to preach? Do you agree that it is time to build God's house the Church? Discuss this with the class. Have you come out of Babylon?